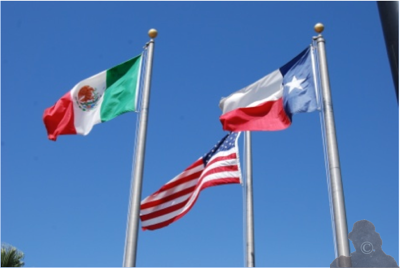 Yesterday, today and tomorrow we all belong to the AMERICAS! I’m not from Cheto but my dad Arturo was born there in 1912 to Francisco and Virginia Salinas who immigrated from Coahuila, Mexico. Things were never the same after that; early 1900’s by the looks of the automobiles. Two generations later ½ of Cheto went north seeking a better life; but CHETO remains in their heart and minds! Francisco y Virginia Salinas would be one of the first couple to build a stilted house around 1910. 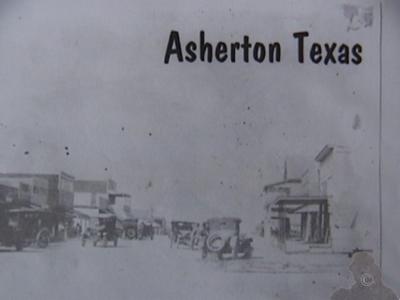 You all recall that Asherton officially became a town in 1925. Johnny Canales Dr. Teo Martinez and Dr. Inez Ramirez were the VIP’s at the”FIESTA.” I had the privilege of interviewing Inez in October of 2012. He came to see Juan Ruiz before his passing. Perhaps a St. should be named after this SIGLO-MAN! He has put Asherton on the map in more ways than ONE! Those of you who have a little political pull might help make it happen and have him cut the RIBBON! He said he is blessed to have the same b-day as President Lincoln. He had a great party and the only thing he regrets is that he is not able to renew his driver’s Lic…….QUE TAL☺! !I interviewed Ponchito in 2008. I HOPE YOU ALL REMEMBER the slide show I gave in 2008. Fue un placer especial. 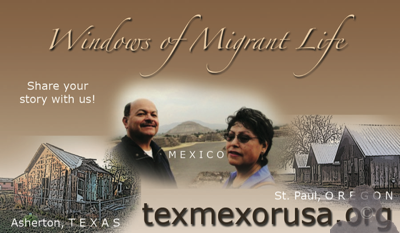 I mentioned at the REUNION that I was going to build a website dedicated to the Early Migrantes to St. Paul, Oregon this means about ½ of Cheto’s population. Our website is up and running and it is a work in progress. THANKS TO ALL WHO HAVE shared their stories. We are happy to have YOUR STORY! PLEASE PASS THE WORD and keep us in mind when you have another REUNION. CON AMISTAD! 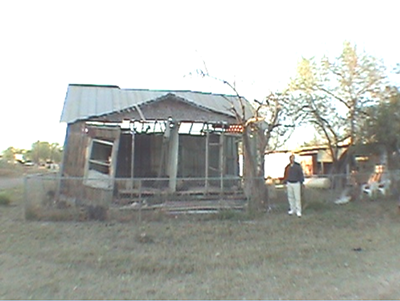 Some cabins still stand but others have been torn down. 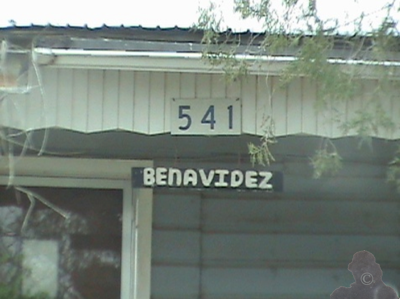 This was home for many families such as: Banda, Ruiz, Sifuentez and many more. The cabin was divided down the middle by a ¾ inch wooden wall and each half consisted of two rooms, concrete floors, a wood stove, two light bulbs, and a screen door. PARA IR PA-FUERA…AN OUTHOUSE. 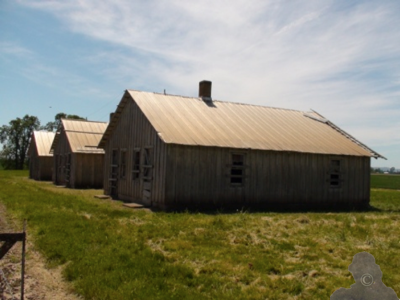 One of the half-cabins doubled as a dormitory usually for the HOMBRE SOLO and had laundry facilities, as well as, a shower stall that used to accommodate two people; and long lines for showers on weekends Y… POCA AGUA CALIENTE! The children of the original ‘PIONEROS DE OREGON” are now 70+ years old. Soon writing about our special past will no longer have people to share a special moment in HISTORY. THEREFORE, PLEASE SHARE WHAT YOU KNOW WITH THE YOUNGER GENERATION! Thanks!! Art's Photography & Video San Antonio, Texas. You can view the video at the top of this page. In case you wish to order a copy contact us here. 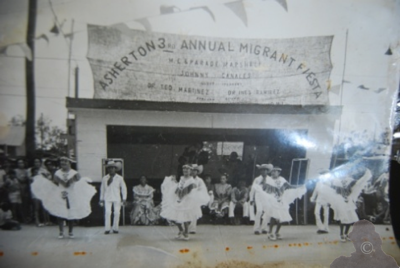 About one hundred Ashertonians and their spouses or friends attended the 2nd CHETO REUNION. The new NON-CHETONIANS who attended from Oregon were Miguel and Lidia Salinas. Miguel was allowed to make a slide presentation to the group. The theme of his presentation was to highlight the ORGULLO that exists in Marion County, Oregon. This PRIDE originated with RAZA from Asherton, Texas USA! Si Eňor” (Si Seňor)…vernacular used by our parents or LOS ORIGINALES DE ASHERTON…o ya sean los padres of those who were in attendance. I understand that Ashertonians had another REUNION in 2011; Lidia and I are sorry we missed it. It is also with regrets that I found out that the likelihood of having another REUNION is not in the cards. Factors such as age, health, mobility and some of our amigos/as also passing on makes it challenging for all of us. As I mentioned at the Asherton REUNION in 2008 I continue to be a want-to-be Ashertonian. 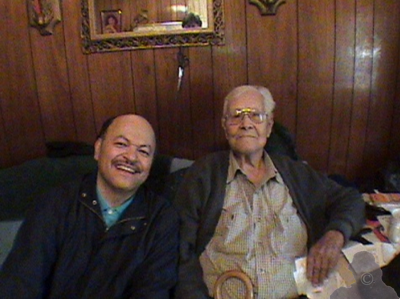 Thank GOD that my dad Arturo Flores Salinas who was born in Asherton in 1912 adopted me and thus my claim to the Ashertonian Experience. The website has a good mix of topics and most originate from our office…which is practically the whole house. Lidia and I feel blessed to have the opportunity during our golden years to visit, travel a bit but most of all to share ALL our memories which are a mix of life adventures. Most of you will recognize some of the names and perhaps even some of the people. When you do share the experience with others as TIME is a precious commodity that cannot be recreated; you know the rest of the story. In April of this year 2013 my wife Lidia and I went to Asherton and attended the Annual Jamaica. It was a good treat as we got to see Asherton in action and also met many folks who have family in Oregon; no surprise here as half of Asherton migrated to the NW and particularly Marion County, Oregon in search of a better life . What Lidia and I found out is that LIFE is relative. Each family gravitates to their own comfort zone…DIOS ES MUY GRANDE! IF BY CHANCE, THERE IS A REUNION OF “ASHERTONIANS” IN THE FUTURE…USE MY CONTACT PAGE TO LET ME KNOW…AND WE WILL BE THERE! In addition to the Asherton Reunion which is already in our website, I took liberty to add the DVD that we purchased from Arturo Trevino, JR. Arturo took some good FOTOS y la música que uso con las fotografías es romántica. En otro tema, Martin Zavala cut a disco llamado “Como te llamas Paloma? I had a chance to platicar un poquito con Martin and en Spanglish- what else! His wife Magdalena “Bebe” mi esposa Lidia y yo compartimos 3 horas de la vida en Asherton. Mas allá les platico mas…porque si no voy a necesitar otras 20 páginas. ENJOY THE VIDEO!